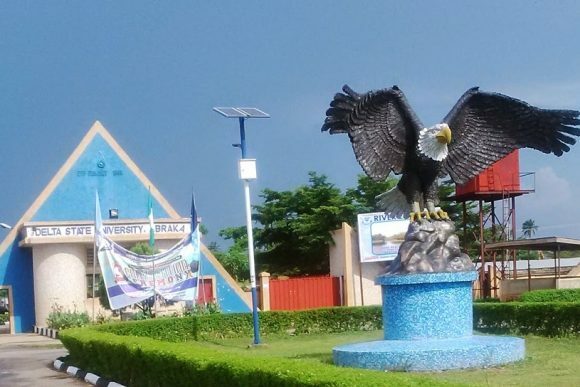 The Joint Action Committee (JAC) of the Non-teaching Staff Union, Delta State University (DELSU), Abraka, has issued a seven-day ultimatum to the management of the institution to meet its demands or faces indefinite industrial strike action. The JAC made up of Senior Staff Association of Nigerian Universities (SSANU) Chairman, Comrade Monday Izu, NATT Chairman, Comrade Ahatty Godwin and NASU Chairman, Comrade Lucky Oritsedere, regretted that the management of the university was yet to indicate any overt plan or willingness to implement the 2016 promotion and effect payment of the October 2016 and 2017 incremental steps despite the Governor’s approval dated January 2018. “In light of the above, the JAC of SSANU, NAAT and NASU at meeting held on January 29, 2019, unanimously decided to give the Delta State University management a 7-day ultimatum with effect from January 30, 2019 within which to meet the following demands: failure to which members of JAC shall embark on a total and indefinite industrial action. “The demands are that the short fall of 2014 and 2015 promotion arrears of 40 per cent can be paid without further delay; that the 2016 staff promotion be implemented immediately; that the arrears that have accrued from 2016 Staff promotion be paid without further delay. “Others are that the arrears of increment steps for October 2016 and 2017 be paid immediately and the secondary school teachers be destagnated unconditionally without further delay since the destagnation does not attract financial benefits. This is one year after the governor graciously approved the exercise,” the statement stated.